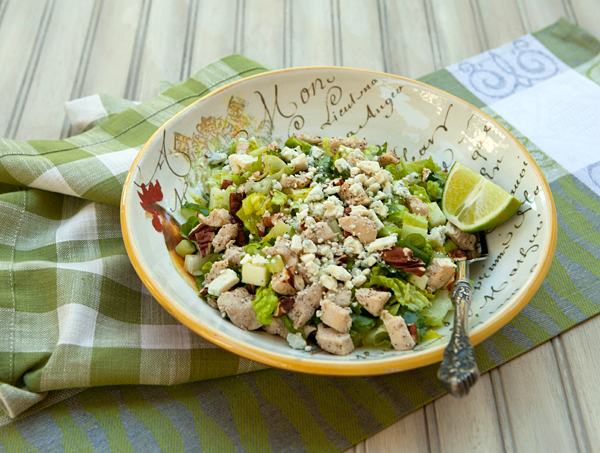 I first tasted a variation of this salad at a popular beach side restaurant here in Florida and I just loved the flavors and the brightness the lime dressing adds. I use very little olive oil in my salads, and dress the salad simply by squeezing the limes over the salad, seasoning it with salt and pepper, then adding just a tablespoon or two of olive oil as I toss the salad. This is a main dish salad that I often make for myself when I am craving a good crunchy salad. For the chicken, if I’m in a hurry, I will pick up a rotisserie chicken at the store and use the breast meat from that, reserving the leftover chicken for another meal the following day. You could also chop chicken breast tenders, then cool and chop for the salad. The bright citrus flavor of the lime in the dressing allows you to use much less olive oil than found in most salad dressings. 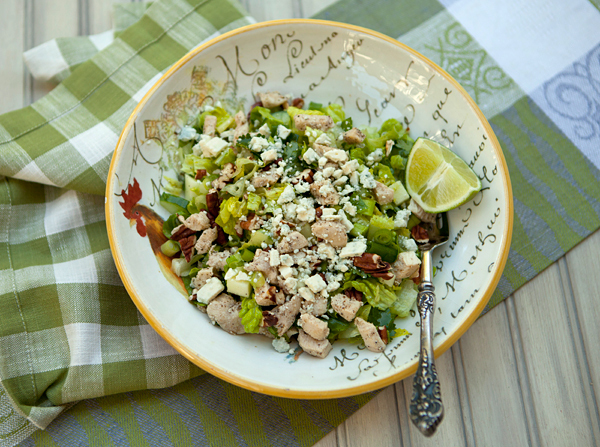 The lean chicken breast meat and pecans create a healthy salad with lots of protein. 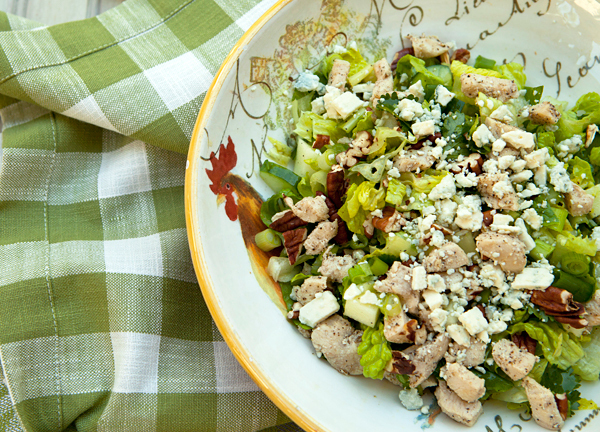 In a large bowl, toss together the salad ingredients. Squeeze the limes over the salad and then season well with salt and pepper. Add a couple of tablespoons of the oil, then toss, and taste. Adjust seasonings and olive oil as needed, then serve in individual bowls.